Since 1978, Database Systems Corp. (DSC) has been providing computer systems and software technology, particularly for the call center and telecom industry. Our products include state-of-the-art call center software and call center phone systems and services. Using this technology, DSC can develop customer satisfaction survey applications using our interactive voice response IVR solutions and phone systems. Customer satisfaction surveys can be initiated by outbound phone calls or can be a response to callers. Using our PACER or WIZARD phone systems with the smart message dialer and survey software, we can call your survey prospects and play a highly focused and custom greeting. DSC can provide your automated survey audience the option to take your phone survey or even talk with a representative, leave a voice message, hear additional information, or simply decline to participate in the survey. The survey can accept touchphone (DTMF) response or can record each question response for later analysis. Contact DSC to learn more about our complete customer satisfaction phone survey technology and outsourcing services. Progressive Impressions International began operations in 1991 with a core group of three people, a contract for the largest newsletter in circulation and a vision of providing one-to-one marketing programs for the Fortune 500. Pii specializes in full-service customer relationship marketing for Fortune 500 customers including American Express, Catepillar, IBM and Xerox Corporation. Progressive Impressions International utilizes our Interactive Voice Response (IVR) technology and service call center to gather data for customer satisfaction surveys. Customers enter a unique identifier in order to select one of eight different surveys. Custom reports have been developed to further analyze collected data. Inbound IVR Surveys - This is the most common use of automated phone service for customer satisfaction survey applications. 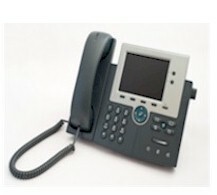 Typically a tolll free number is published and the caller is directed to respond to questions by pressing phone keys. Respondents can likewise leave recorded answers to survey questions. Finally, the call can be transferred to an agent if the survey requires individual respondent attention. This method relieves your survey representatives from the tedium of asking repetitive questions with simple responses. The remaining types of customer satisfaction surveys relate to outbound calling campaigns. Automatic Phone Dialing - This traditional method of calling dials a number from a phone list when a survey taker is available to make a call. When the number is dialed, the phone system transfers the call to your survey representative. This method simply relieves your survey representatives from the tedium of manually dialing calls. This type of calling is appropriate when your survey is more complex and needs more detailed explanation and personal interaction. Message Broadcasting - This is another method of customer survey calling where the auto dialer phone system dials from a list and plays a pre-recorded message either to an individual or to an answering machine. A survey taker is not required. This technique could be useful when you wish to inform a potential candidate of a survey, or to provide instructions on how to contact your organization to participate in the survey. Message Broadcasting and Touchphone Response (Customer Surveys) - This method expands the prior message broadcasting technique by playing a message that gives the survey candidate options from which to select. Using touchphone responses such as "Press 1 for...", options could be the survey itself and the option of leaving a voice message, or speaking with a survey representative. A different message can be left on an answering machine. This is ideally suited for post sale customer surveys. Predictive Dialing and Customer Surveys - Predictive dialing is very similar to automatic dialing, except the phone system dials several numbers ahead to reduce the amount of wait time between calls that your survey representatives handle. This greatly increases your survey representative's productivity, but may lead to lost calls because the survey auto dialer contacts an individual when no survey taker is available. "Smart" Message Dialing - This type of calling campaign blends Message Broadcasting with Predictive Dialing and can produce very productive results. Messages are played to survey candidates, and if the individual expresses an interest in taking your survey, the call can be transferred immediately to one of your home survey representatives. A separate phone message can be left on an answering machine. Database Systems can provide any type of calling program required by your organization and can even blend several types using our survey autodialer to determine what works best for your specific customer survey program. Our automated customer survey software and phone system can be highly customized to meet your organization's information gathering requirements. DSC provides an experienced professional staff that can design and program your surveys. If you wish to develop your own surveys, we provide the training and tools to accomplish this. Here are just a few of the features that make our customer survey software stand out from the rest. Contact DSC to learn more about our customer satisfaction phone survey dialers and IVR outsourcing services.